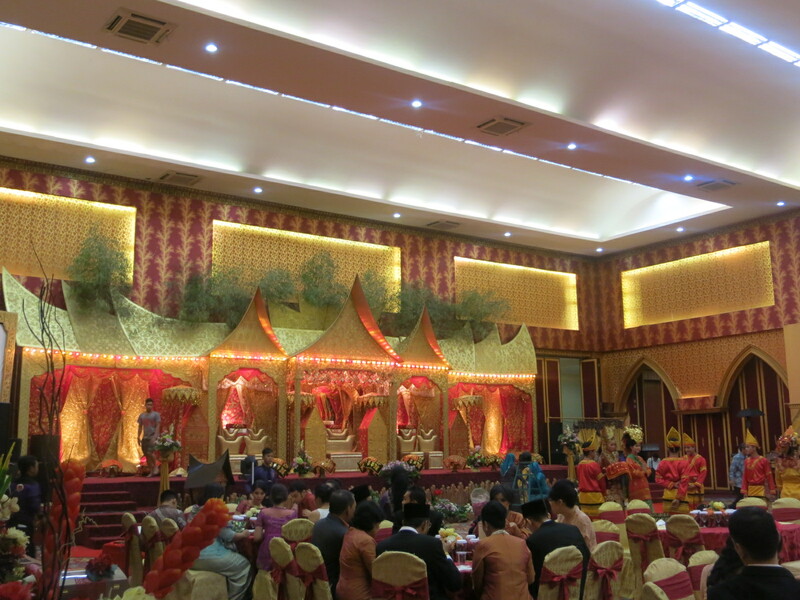 Last weekend I went to Padang – West Sumatra for a friend’s wedding with some friends. It was my first time and albeit the short time (only 22 hours! ), I really enjoyed it. I was supposed to stay longer though (not that long, but at least passed the 24 hours mark), but I missed my flight at Saturday morning and then got transferred to a later flight on the afternoon. That flight then got delayed, so I arrived in Padang at 4PM on Saturday. 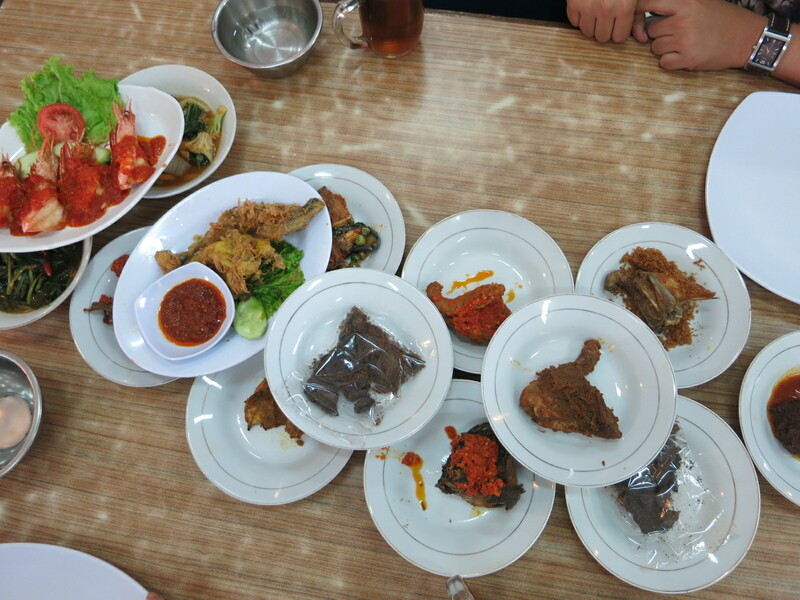 My friends and I went straight to Lamun Ombak – a local restaurant serving none other than the super delicious Padang Food! It’s a common destination for those just arrived in Padang as the location is nearby the airport. Such a perfect welcome after our delayed flight! The food was delicious but it was a bit disappointing that they don’t serve Soto Padang – my favorite kind of Padang Food. After getting our stomach full, we had a bit of time to kill before we were scheduled to meet our friend the groom. 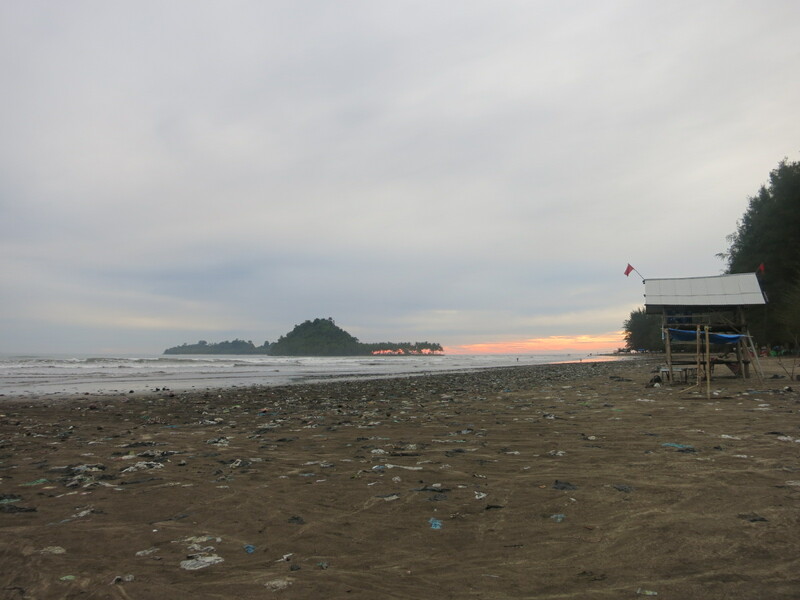 Our driver took us to Air Manis Beach – a nearby beach, famous as a surfing spot and also the legend of Malin Kundang. 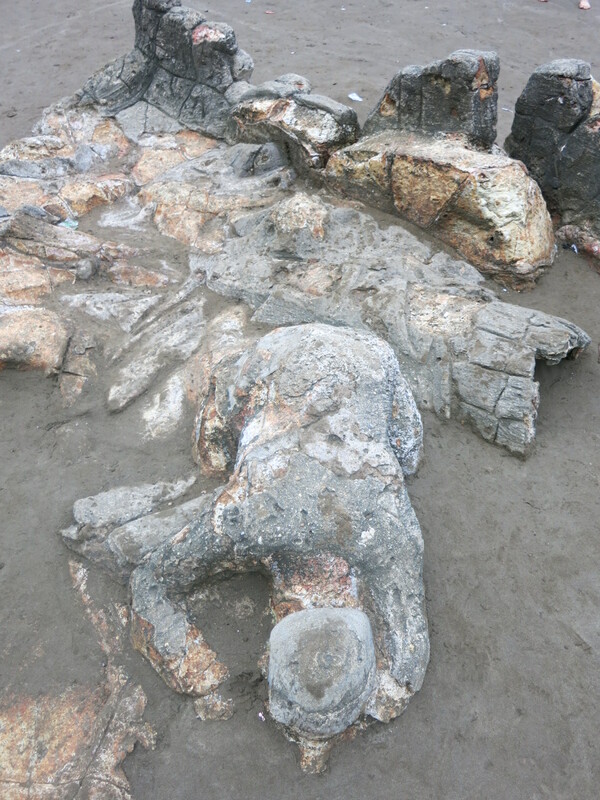 There’s a rock formation on the beach which is told to be the him and the remains of his ship. The beach is supposedly pretty – to get there you would have to drive pass a hill first, which also gives you a nice experience. It’s around 30 minutes from Padang’s city centre. BUT, it is VERY dirty. I was heartbroken to see the dirty beach. There were trash all over the place, and no facilities at all. The Malin Kundang rocks is also poorly maintained, which is such a shame. I really really really wish that the government would take action to restore Indonesia’s nature spots. The next day was the wedding day – we started the day early despite the lack of sleep, and had breakfast with the groom and his family, and his other friends in the hotel’s restaurant. Then we went to the convention centre where the ceremony was held to witness the wedding ceremony. The ceremony was finished at around 10 AM and there was an hour break before the wedding reception started at 11 AM. I stayed there until 12 PM and rushed to the airport to catch my 14.20 PM flight. So that’s how I spent 22 hours in Padang. Short but surely eventful 🙂 I’m happy that I was able to witness a traditional Minang wedding and had (a glimpse) of delicious Padang Food! Perhaps I’ll be back and stay longer some time. dlu pernah kesini, tp sekarang kok kotor bgt ya? Dulu ngga kotor begini? sayang bgt berarti ngga terawat ya..
iyaa mirip orang beneran yaa kalo diliat liat..
it’s indeed veryyyy tasty! you should visit if you got the chance! Next Next post: What’s my age again?